It’s another crisp, cold wintry morning. A blanket of snow covers our yard and the ice is reforming on the lake. Dave is in the final throes of his annual sap boil off. Spring feels like it is weeks away. One way to usher in spring early is to give something in your life a spring makeover. Yesterday, Clare and I went to get new haircuts for spring. 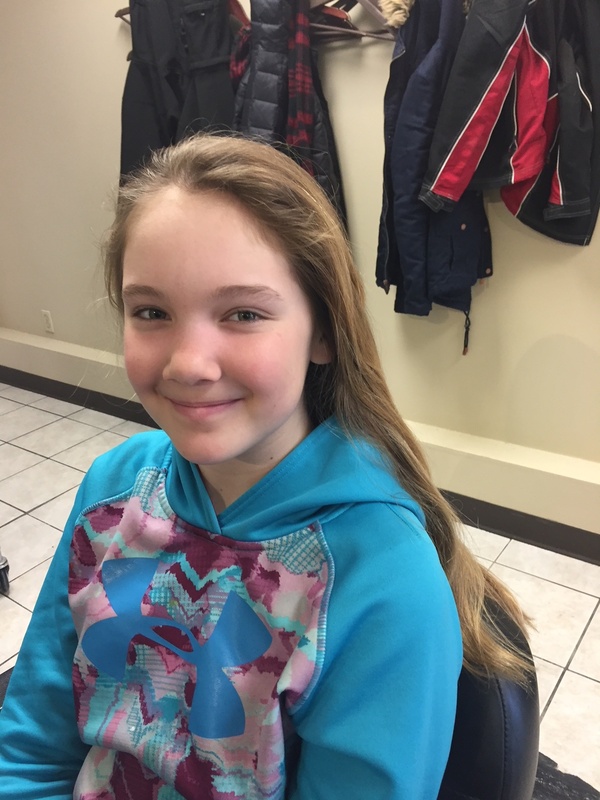 Clare had been growing her hair with the goal of donating it for cancer. I was planning to join her. 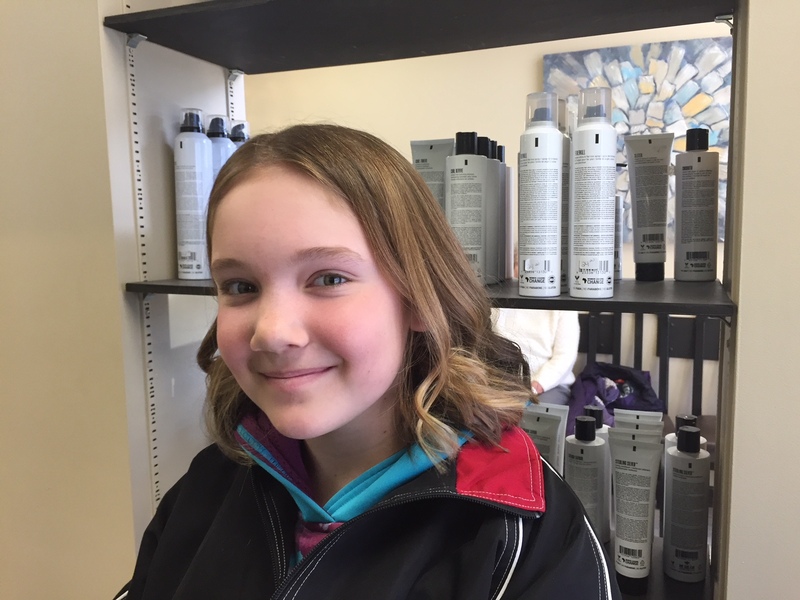 While I had to defer my pixie cut because my hair was still too short, my beautiful girl cut off her golden locks and is now rockin’ a new look for spring. I also refreshed my blog this week. I hope you like the new look. I was going for something sunny, bright and inspirational. It’s still easy to follow my blog and share my posts. Just click on the three dots in the upper right hand corner, and enter your email. Social sharing icons appear at the end of each post. If you read something you like, share the happy. Thanks for continuing on with me on this journey to make the world a happier place, one happy act at a time. LOVE it!! My daughter and I did the same last year and it really is quite remarkable! Knowing that you’re helping others with something that we take for granted every day. So proud of Clare and so beautiful!! Thanks for sharing. 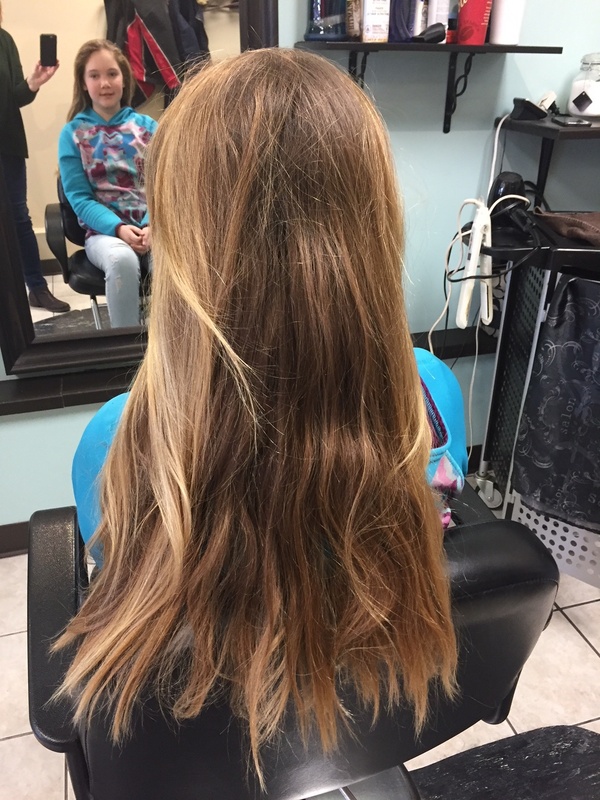 That’s so cool, Barb, Clare mentioned you had donated your hair too, good for you guys!